Supply Chain Accountability: Will There Be a Cyber Toyota War? All of this is to show that any sort of dark alliance between Toyota and the Islamic State is completely specious. The Toyota happens to be the vehicle with the greatest utility; the color of the pickup truck is driven by Asian tastes and the fact that desert heat dictates that white cars are simply more comfortable than black ones; and that Toyota trucks are driven by ISIS is dictated more by the sheer numbers produced and a reputation for quality than some nefarious plot by a well-respected Japanese automaker to supply a terroristic organization. Simply put: It’s practically guaranteed that any paramilitary force in the Middle East will standardize on white Toyota pickup trucks. …no one would have ever guessed that the Toyota pickup truck would come to play an important role in warfare history. This is the little-known story of how an army comprising 400 Toyota pickups outgunned, outsmarted, and outmaneuvered a superior force equipped with tanks and aircraft. In the brutal engagement with 1,200 Libyan soldiers and 400 members of the Democratic Revolutionary Council militia, the Chadian army and its Toyota pickups made mincemeat of the Libyan stronghold in Fada. At the end of the day, the Libyan armored brigade in Fada had lost 784 soldiers, 92 T-55 battle tanks, and 33 BMP-1 infantry fighting vehicles. Chadian losses, on the other hand, were minimal: 18 soldiers and 3 Toyota pickup trucks. January 3 and 4 saw the Libyan Air Force try to annihilate the Chadian soldiers and their trucks, but all bombing attempts failed thanks to the outstanding mobility of the Toyota Hilux. Ok so let’s be frank. It is preposterous to say no one would have ever guessed superior technology would come to play an important role in warfare history. That is literally what happens in every major conflict. Warriors don’t ignore advantages. So there’s a very good argument against that perspective up top, which is that Toyota have for many decades been supplying exactly the technology desired in warfare, and watching the global purchases turn into military purposes. Battelle, an applied sciences and technology company based in Columbus, Ohio has put out a video explaining how it turns ordinary vehicles into extraordinary ones. According to the company, it’s been creating what it calls “non-standard commercial vehicles” since 2004. Battelle sources Toyota HiLux pickup trucks and Land Cruiser sport utility vehicles, as well as Ford Ranger pickups as a baseline to create their “non-standard” vehicles. Non-standard sounds far better than dark alliance or nefarious plot, I have to admit. Ultimately, though, it comes backs to Toyota being on top of its total supply chain and helping investigate use cases of their supply that violates law or its values. On the one hand releasing product into the wild (e.g. right to repair) creates freedom from corporate control, on the other hand corporations have duty to reduce harms that result from their creations. Balance between those two ends is best, as history tells us it’s never going to be perfect on either end of the spectrum. 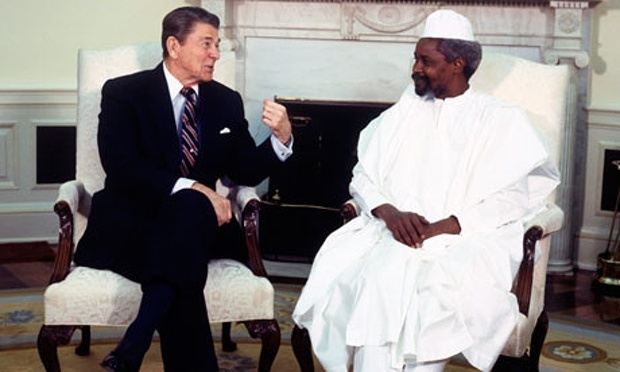 “As a country committed to the respect for human rights and the pursuit of justice, this is also an opportunity for the United States to reflect on, and learn from, our own connection with past events in Chad,” [Secretary of State Kerry] said, apparently referring to U.S. support for Habre in the 1980s to help assuage the influence of Libya’s Moammar Gadhafi.